Slackware is a new Linux distribution targeted at Old people. "Oh lord what does SLS mean"
and he respondeth "You are obviously all n00bs so go away and become sysadmins". and lo, great shadows were cast upon the land. And only the l33t people of the world did use SLS until they found uttering SLS in prayer to the great Gnu a many torturous thing to do. Patrick saw this and was not happy. He then declared unto the land "oh, alright, i'll rename it Slackware, but don't expect anything more because it's mine!! All Mine!! OK??" And the lowly followers were happy for a while; Until one day they tried greatly to pass improvements to Patrick, who promptly told them that He would make Improvements as He saw fit. And lo, the followers did continue writing their own code to force programs to compile on Slackware. And a great age did come to pass when the tribe of l33t did make copies of Patricks great writings and passed them among their many friends. "lo, my loyal followers we have come to the version that shall be numbered four; Four it shall be numbered, no more, no less; And after that It shall be numbered seven, no more, no less"
"I shall issue software which I have declared Stable. For I am the great one, and shall strike down all who question my decisions." 1. He invented what we call today, "water" 2. He was able to delete the recycle bin on a windows machine of his. 3. Managed to play dubstep on the triangle. 4. Drank a case of beers in under 60 seconds. 5. Became the first person to fly using his powerful arms as wings. ........... just to name a few. Mike Tyson designed the web site; and Heinrich Himmler wrote the installer. Slackware is most well known for its use in enterprise environments, where Fortune 500 clients demand the stability, reliability, and support of a corporation that only Slackware provides. Slackware provides an extensive certification program for software and hardware known as "Built for Slack", as well as a Slackware Certified Engineer program. While hobbyist OSes such as Red Hat, SUSE, Solaris, and AIX have made inroads in the enterprise, Slackware is still leading the market by a wide margin - and remains the only OS certified for use with Oracle. 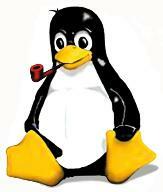 In addition to its use in the enterprise, Slackware is also quite popular among new Linux users. Its popularity among new users due to Slackware's long-standing reputation (rivaled only by Gentoo) as being an easy-to-use operating system for the beginner. Finally, Slackware is also popular among users of the GNOME desktop, due to praise of Slackware's exceptional GNOME desktop, a rarity in a world of distributions such as Ubuntu which feature poor GNOME support. Keep it stupid. Or see Willy the Groundskeeper. Slackware previously had a userbase of three: Satan, Gonzo, and Snake. But they left for more demonic operating systems. When playing Slackware Linux 9.1 backwards, one can hear the Pipe report suite. Famous users include Samson, The Druids of Anglesey, Niccolò Machiavelli, Attila the Hun, Leonardo Da Vinci, Grigori Rasputin, Oscar Wilde, and Silvio Berlusconi. To make slackware easy to use for old people, senile improvements were made. Slackware favors GUI tools for ease of use. Command line is not needed at all. Integrated calendar to manage user's complicated medication schedule. No username/password mode for alzheimer patients. Larger keys gives better chance of hit for parkinsons sufferers. Debian advocates don't like Slackware for incorporating software that isn't as old as their target audience. Ubuntu fanboys dislike Slackware for forcing them to use the GUI rather than the command line. pr0 l337 5cr1pt k1dd13 h4x0rz dislike Slackware for popularizing linux. They say that "5|_4C|<W/\r3 r\/1|\|Z0R t3h h0lE |_1n\/x-5C3|\|3"
This page was last edited on 3 October 2012, at 08:21.